The waterfall and agile methodologies provide a plethora of tools and techniques that can be leveraged on projects. And no project is entirely waterfall or agile – but rather, most projects are a hybrid of the two. It is your job – and that of your team – to get your collective heads around lots of tools and techniques from each and choose the ones that can best bring a positive outcome to your project. 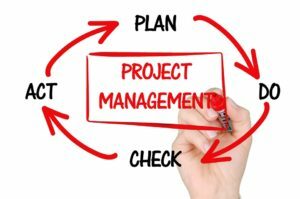 This is the fourth part of a series of four articles on “Hybrid Project Management", where we explore the evolution and logic behind hybrid project management, and how you can optimize performance on your hybrid project by selecting the ideal waterfall and agile techniques. This article, Part 4 in the series, “Leverage Waterfall and Agile Techniques on Your Hybrid Project," dives into how to choose the best of techniques to leverage on your specific project. Part 1 looks at “Hybrid Project Management: How ‘Hybrid’ Came to Be", including how project management methodologies have evolved from waterfall to agile…to a hybrid of the two. Part 2, “The Spectrum from Waterfall to Agile: Three Hybrid Projects", looks at some different types of projects and what makes them uniquely challenging to manage. Part 3 focuses on “Five Factors to Optimize Your Hybrid Project", enabling you to identify the key characteristics that will inform your PM methodology approach. The waterfall and agile methodologies provide a large range of tools and techniques for managing a project. While I think that virtually every project is hybrid, the key to great project management success is to select the best combination of waterfall and agile tools that fit your project. Ultimately you are on the hook to deliver the product of your project – subject to cost, performance, and schedule parameters. There’s no perfect solution – but there are better, more effective ways of getting there. …be open to scope changes…but keep control of them. …champion the highest values, independent of methodology. These things are a combination of waterfall and agile approaches. Have lots of tools and techniques in your tool chest. While there are many more waterfall and agile tools and techniques, the above list gives a flavor for the range available to you that will best support your processes. Choose the tools and techniques that work well together, that your team can rally around, and that produce the desired outcome. Your choices may lean more toward either the waterfall or agile side, but it’s highly likely you will have a hybrid approach with elements of both that works for your specific project. Can you identify tools and techniques from both waterfall and agile approaches that will make your project more effective?